Weeks after this medium exclusively reported that the Delta North Senator, Mr Peter Nwaoboshi snubbed the traditional ruler and chiefs of Okpanam who invited him to the palace to explain some of his exposed shady deals, we can report that he has finally gone to see them. According to our ever reliable palace sources, the cut and nail lawyer, who many believed has never practiced law was his pompous self during the humiliating visit. He told the Okpanam Chiefs that his current media travail as well as petitions written to the Economic and Financial Crimes Commission (EFCC) are all engineered by the State Governor, Ifeanyi Okowa. He stated that Okowa is scared of his rising political profile in the country and decided to use his alleged media outfit and the President of the Anti Corruption and Integrity Forum, Comrade Prince Kpokpogri to cut him to size. 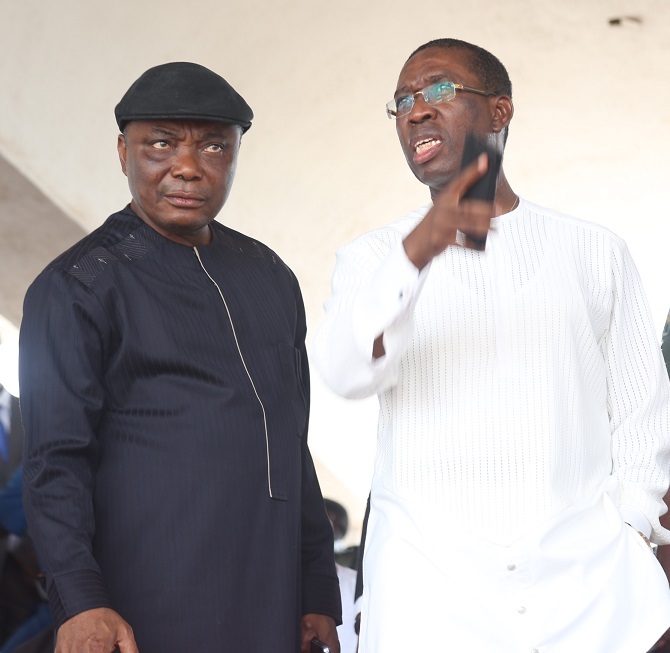 “He was bragging that Okowa is pretending to be with him because he’s the Chairman of the Senate Committee on NDDC and the governor cannot do without him, since his influence is needed to award contracts to the State”, stated an impeccable source. One of those who attended the meeting revealed that the fraudulent lawmaker vowed to punish Okowa by ditching the Anioma agenda in 2019 if Okowa “does not call his attack dogs to order”, as he feared that with the recent firestone coming from every angle against him, his chance of going back to the Senate is slim. Speaking to Secret Reporters, one of his aides confided that they are happy with their boss “disgrace on media”, noting that he has impoverished them since they started working for him. “Oga just believe that Okowa is the one engineering the fight against him. He tells everyone that the boys doing this thing are Governor boy and wonder why Okowa has not called them to order, just as he has called them in other peoples case that they pursued”. He stated that even though Nwaoboshi pretends that all is well, he is dying silently inside and praying Okowa intervenes to save him.